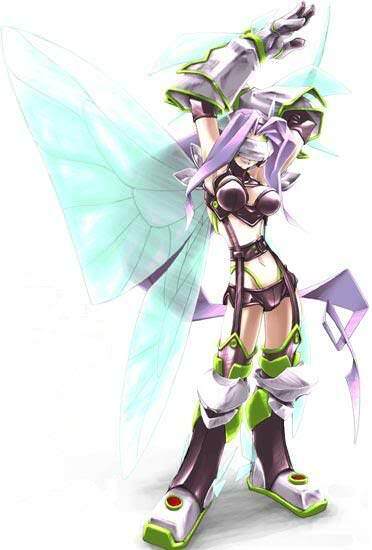 Which Digimon will be the next to get an X-antibody form? Thread: Which Digimon will be the next to get an X-antibody form? While it would be very suitable for Tokomon X, I don't think there will be a Seraphimon X line in the Digital Monster X. Angemon, HolyAngemon, and Seraphimon were all choices in the voting contest for the two Digimon to be included in the Digital Monster X as X-Antibodies. It would be redundant to have them as options if they were already going to be in it. We'll probably get X-Antibodies of them in the future, just not immediately soon like in the upcoming Digital Monster X.
Weirdly enough Patamon was missing on that poll and we now have two of his forms in the vpet so we may actually see him. Patamon would look great as an xantibody, they could give him feathers. On top of that, with ClavisAngemon being a Mega form of a could be a possible MagnaAngemon evolution, then it be sweet. He placed 6 which gives me some hope for him eventually. Maybe they are making a Tamers rehash with the X-antibody Digimon, with the additions of Renamon and Monodramon, all they need now is Guardromon, MarineAngemon, and the twins, to give them all X-antibodies. I am excluding Impmon, because of Beelzebemon. I think Impmon could be in the next wave anyway with Patamon, Elecmon and the twins. Monodramon does not have an X-Antibody counterpart. I'd be up for Ignitemon getting an X-Antibody form; that Digimon is special to me. I definitely want to see a Bastemon X Antibody.Ranamon, Fairimon, and other hybrids should get them as well. ...I will agree with you on that. Mostly the first 3 but still. Oh now that you say so, I saw some time ago a fanart of Fairymon X that looks so cool, so I'm totally into that idea! Ignitemon X would be a really good complement for Minervamon X. Wonder if it would be a grown-up version of him instead.